The driving test is designed for you to show your practical skills and understanding of the Highway Code and the theory of driving safely. Throughout the test your examiner will be looking for an overall safe standard of driving. So long as you show the standard required, you'll pass your driving test. There are no pass or fail quotas. When you go for your practical driving test you must take certain documents with you. You must also bring an appropriately insured and licensed vehicle suitable for the test. You must bring an appropriately insured and licensed vehicle, displaying L-plates (except for taxi and approved driving instructor (ADI) part two tests). The vehicle must be suitable for the purpose of the test. 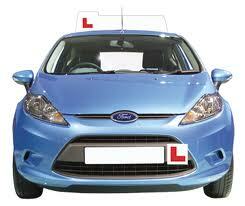 Most learner drivers take their practical test in their driving instructor's car. However, you can take the test in your own vehicle if it meets certain rules. You can take your driving test in either a manual or automatic vehicle. However, if you pass your test in an automatic you'll only get a licence to drive an automatic. 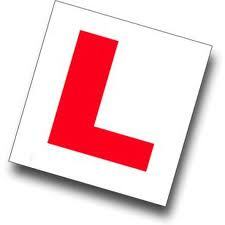 You must bring your theory test pass certificate (or confirmation) if you are not exempt. You must also bring both parts of your driving licence - the photocard and the paper counterpart. If you have an old-style paper licence, you must take your signed driving licence and you must also bring a valid passport. The DSA have introduced a section of the practical driving test to demonstrate your capability to drive independently - without instruction and be able to follow directions / signs. The DSA now encourages you to take someone on your driving test with you, in order to help you after the test to advise how you performed or where you went right or wrong. The quickest and easiest way to book your official Driving Standards Agency (DSA) practical driving test is online. When you book using this official service, you only pay the cost of the test (currently £62 for tests Mon to Fri daytime or £75 for evening and weekend tests) – there is no extra booking fee when booking through DSA. To book your practical test by phone call DSA on 0300 200 1122.